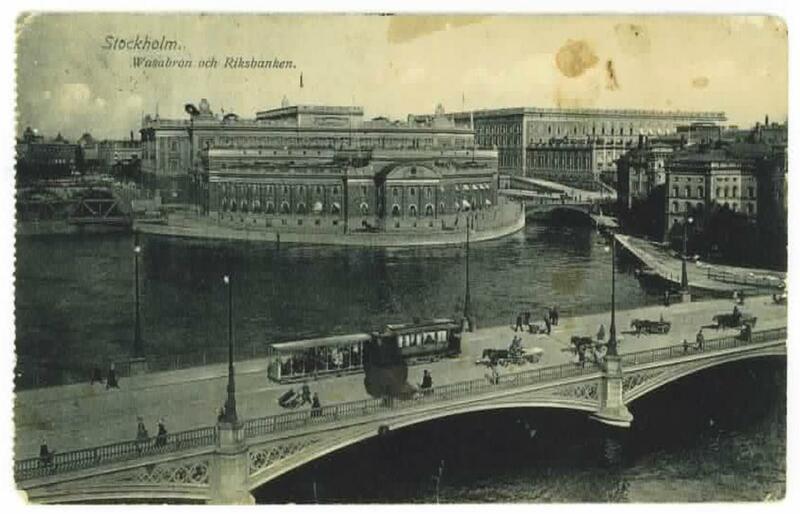 Not long ago, I wrote about a 1910 game that had received little coverage. 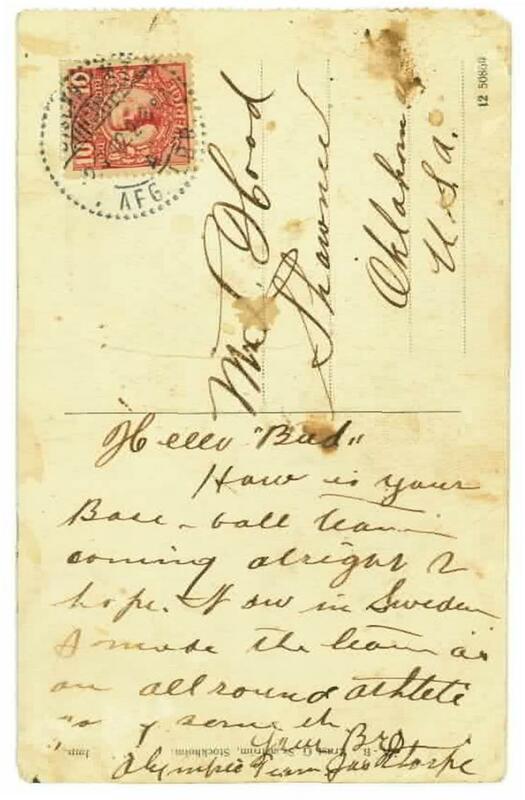 Now, Adam Miller has written about a 1903 game that received even less attention. In 1903, Pop Warner put together a post-season road trip to the West Coast on which the Indians were to play Reliance Athletic Association, a team of the best former college players from the state of California, on Christmas Day in San Francisco. Perhaps Warner thought his team would need a scrimmage to break up the trip, or he saw an opportunity to make a little money along the way. Regardless of the reason, he booked a game with the University of Utah to a game to be played on December 19 in Salt Lake City. 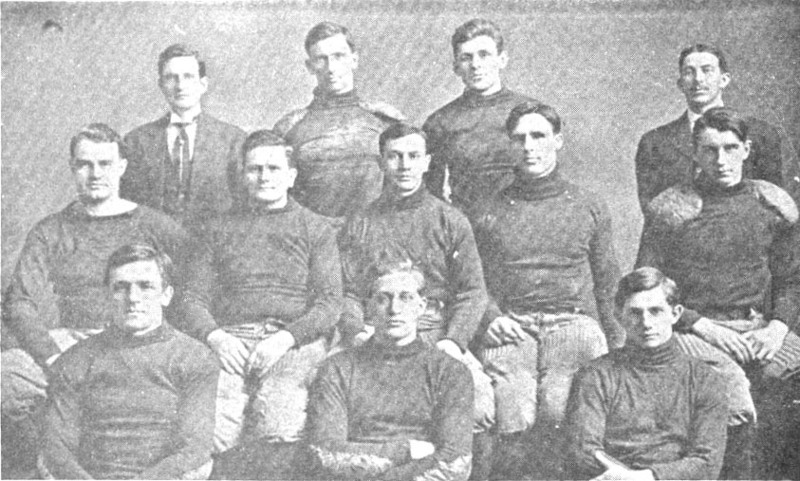 Miller’s piece covers that game: http://utahfootballcountdown.blogspot.com/p/december-19-1903-utah-vs-carlisle.html. It also includes one of those great period newspaper cartoons. Pre-game hype heaped hyperbolic praise on James Johnson, who Walter Camp had recently named as quarterback of his All America First Team. Whether Johnson’s head had inflated after reading his newspaper clippings or if Warner was feeling threatened is not known. Warner wrote in what became his autobiography that he benched Johnson the morning of the game over a rule infraction. Because this happened before the game, the rule Johnson had broken was likely a team rule. Warner wrote that he played Joe Baker in his place and that Baker “did an admirable job that afternoon” in the 22-0 victory on a snowpacked field. Newspaper coverage of this game varies from Warner’s recollection. The Salt Lake Herald’s play-by-play had Johnson playing the entire first half plus kicking a point after touchdown and missing a field goal. Baker replaced Johnson for the second half and led the Indians to three more touchdowns by using the then-new wing-shift play to good advantage. It may be that Warner’s memory failed him as to when he benched Johnson, but he does appear to have done just that. Johnson’s reaction is the subject of another story. While looking through some 1911 newspapers about the 1911 Carlisle-Syracuse game for an article Ray Schmidt is doing for the College Football Historical Society, I came across a piece about Jim Thorpe having eye surgery. The December 12, 1911 edition of The Washington Post included a special from Carlisle, Pa. dated Dec. 6 titled, “Thorpe Under Knife” and subtitled “Great Indian Athlete Is Operated On for Eye Trouble.” This was news to me. I was completely unaware that Jim Thorpe had had eye trouble when he was young. 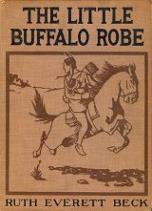 A quick scan of Thorpe biographies revealed nothing nor did the Carlisle Indian School newspaper and literary magazine. Apparently, wire services didn’t pick up this article and Thorpe biographers didn’t stumble across it. A reason for that may be that trachoma was so prevalent among Indians at that time that it was not surprising that Jim would have had it. 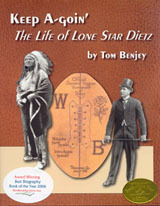 Richard Henry Pratt devoted several pages to eye disease among the Indians in his autobiography because it was a large problem with which he dealt. Dr. Cornelius R. Agnew of New York City visited Fort Marion and became interested in improving conditions for the Indians. Agnew was a frequent visitor at Carlisle and a significant benefactor. On each visit, he would examine ill students and recommend treatments for them. He also treated students with trachoma at his office in New York. After his demise, his protégé, Dr. L. Webster Fox, of Philadelphia stepped up and treated students for free, charging the school only a dollar a day for room and board in his hospital. Fox treated Carlisle students for 20 years and, during this time, trained the school’s physicians in performing certain treatments. So, by the time Jim Thorpe developed trachoma, the school’s physician was probably able to do the surgery himself. The article pointed out that Thorpe was unable to read Walter Camp’s article in which he named Thorpe to his All America first team, but was able to listen to someone read it to him. Apparently, the surgery was successful because good vision is necessary to hit a major league fastball. 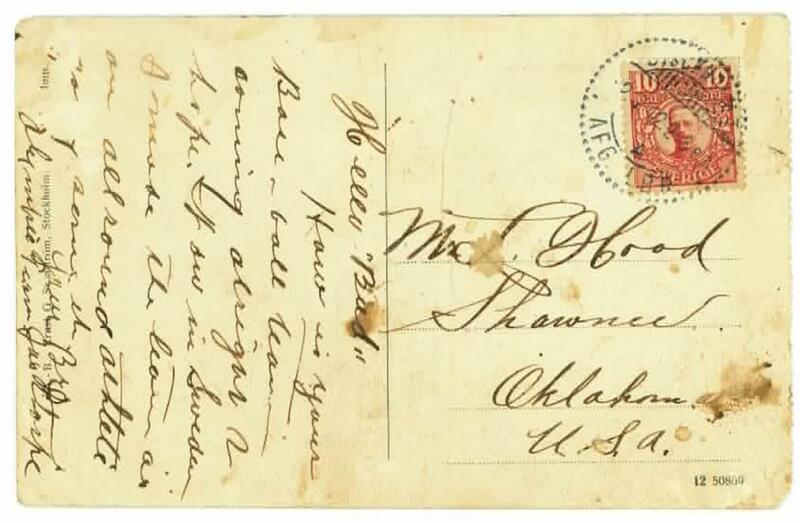 A couple of days ago, I got an email from a local collector of Carlisle Indian School artifacts enquiring about the legitimacy of a photo currently offered for sale on ebay. 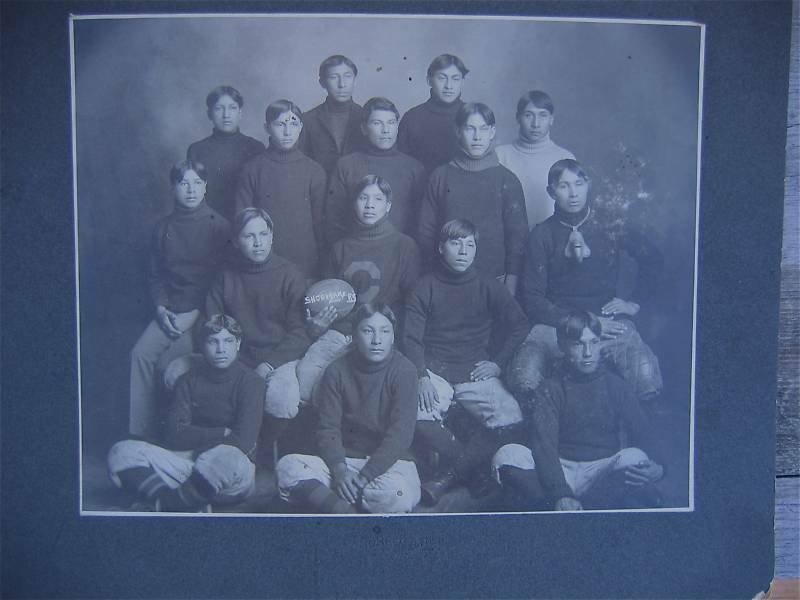 I looked at the item and noticed that the seller claims it is either a 1903 or, more likely in his estimation, a 1913 photo of the Shoemakers football team from Carlisle Indian School. I had never seen a photo of a shop team before but was well aware that such teams existed. Large shops had their own teams while smaller shops would have joint teams. Debating societies had teams. The band even had a team! When he was superintendent, Major Mercer claimed to have 14 teams to outfit. Each year the varsity would get new uniforms. Their old ones would be passed down to another team. Besides the varsity, the second team played a schedule of games as did the junior varsity. Selling athletic equipment to Carlisle was a lucrative business. 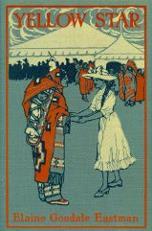 The seller said that he bought the photo from an enrolled member of the White Earth reservation in Minnesota. 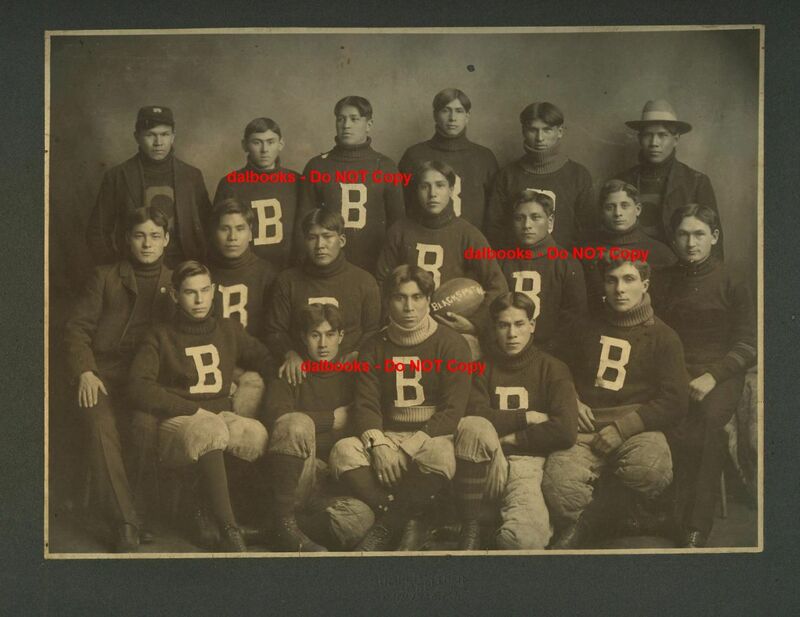 On the rear of the photo is written “Joe Libby Dec. 19, 1903.” Joe Libby was from the White Earth reservation and didn’t make the varsity until a few years later. I would say that this photo is real. The very next day, I came across a collection of items that appear to have come from Mitchell Pierce’s estate. One of the items was a photograph of the Blacksmiths team. I think this photo is also real. Note the two lettermen on either end of the back row. They were probably experienced players who were coaching the Blacksmiths, most probably because that was their trade. Both the Shoemakers photo and the collection that includes the Blacksmiths photo are still up for sale as of this writing, but the Shoemakers won’t be up much longer. Dowey replaced Galbreath at right end and Hamm started at right guard rather than relieving Hoar. Their opponents weren’t identified as to their college affiliation. However, a game write-up provided a few details. Again, the game was played on a soggy field. Kennebrew, Carter, Barker and Lee were from Ole Miss and Marro was a former Notre Dame star, one assumes, from the South. 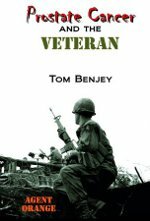 Perhaps a reader will provide more information on the Southern All Stars. 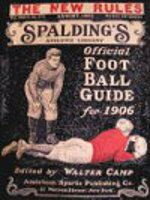 Once again, the game was a defensive struggle with the only scoring came in the third quarter on a 25-yard pass play from Harvard Law’s quarterback Gallati to left end Silas Williams, ironically captain of the 1910 Sewanee team. The kick after touchdown was not made, resulting in a 5-0 win for the Harvard Law All Stars. 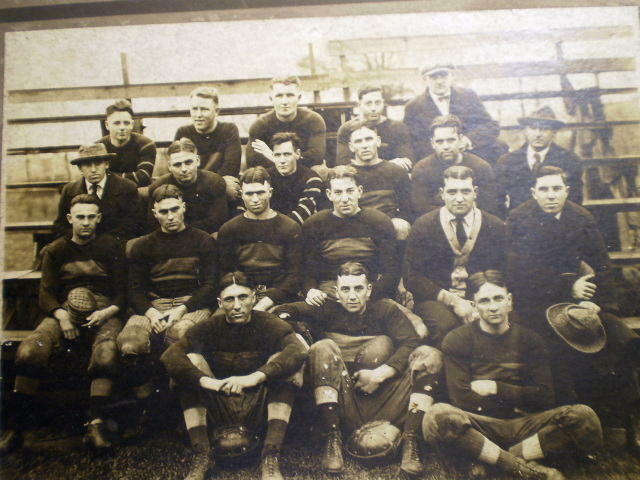 January 2, 1911 found the Harvard Law School All Stars in Baton Rouge, Louisiana playing a team of former LSU stars. Fish’s squad was even more banged up after the Memphis game and had to make more changes in its line-up. 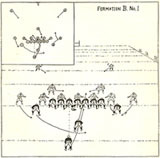 Forcheimer started at right end; Crumpacker shifted to right guard; Hall played left tackle; and McVeagh called signals from the quarterback position. 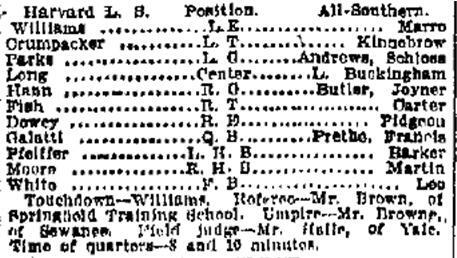 The old LSU stars, many of whom hadn’t played in two or three years, acquitted themselves well. Harvard Law showed the effects of travel and the two previous games. In what a sports writer called, “the finest exhibition of football ever given in this state,” field conditions prevented spectacular play. Strong winds hampered passing and played havoc with punts. The game ended as a scoreless tie. Afterwards, Hamilton Fish took his men to New Orleans for some rest, relaxation and recuperation. While there, the University of Havana challenged Harvard Law to a game in Cuba. Fish declined. Thus ended Harvard Law School football.